Princess Zelda from the Legend of Zelda series is given something of a Disney makeover here with this piece by artist David Lojaya (known as artspell online). 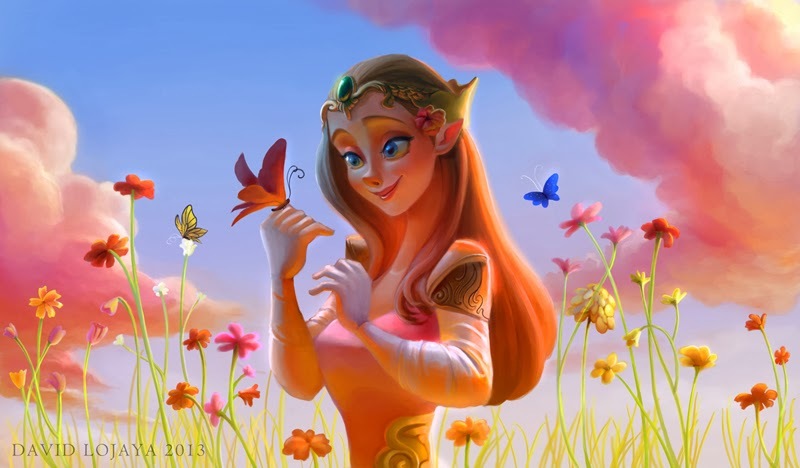 Beautifully vibrant, whilst picking out Zelda's key features and peaceful demeanour this is a great piece of fan art. Check out more work from artspell via their deviantart page.